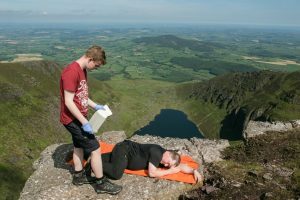 Rescue Emergency Care Level 3 is ideal training for those involved in the outdoors. The REC3 course is designed to introduce a systematic method of first aid for managing casualties. This is an intensive weekend of training with an emphasis on practical skills and scenarios. Running from 09:00 to 20:00 on Saturday and 10:00 to 18:00 on Sunday. Suitable for the instructor /coach requirements for Canoeing Ireland, Irish Sailing, Mountaineering Ireland, Scouting Ireland Emergency Adventure skills and Mountain Biking Ireland awards. It's open to all and the course cost is €150 Email us at waterfordmarinesearchandrescue@yahoo.ie for more information. This 4 hour course covers life-threatening emergencies such as cardiac arrest, choking, heart attack and stroke. 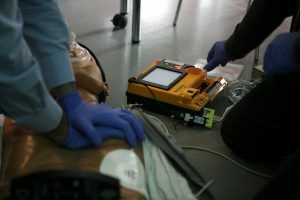 A cardiac first responder is a person trained in cardiopulmonary resuscitation and in the use of an automated external defibrillator (AED). The training also includes CPR practice on Laerdal Medical USA's latest interactive technology, the Little Anne QCPR mannequins. Utilising Bluetooth Smart technology, connecting with tablets and smartphones to deliver real time QCPR measurement and feedback. On completion, candidates will receive a PHECC CFR-c certificate which is valid for 2 years. Course cost is €50 per person. Email waterfordmarinesearchandrescue@yahoo.ie to reserve one of the limited places.